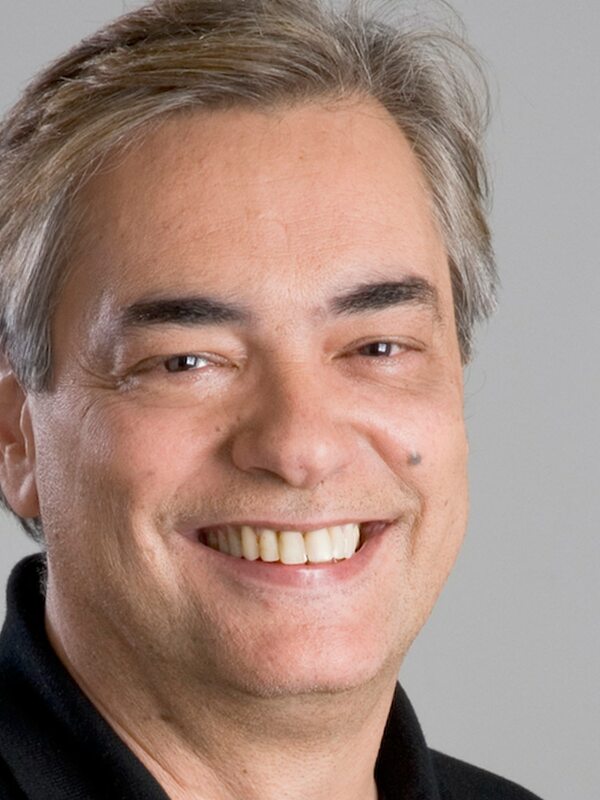 As scriptwriter, he wrote TV COLOSSO Program for Rede Globo. For theater, he wrote the awarded shows A LENDA DO PIUÍ, RÁDIO BIXIGA and ACORDES CELESTINOS, among others. In cinema, he highlights ED MORT and CASTELO RA-TIM-BUM – O FILME as his most successful scripts. In his over 30-year career as actor, he participated in more than 40 movies among short and long films, highlighting ANJOS DA NOITE (ANGELS OF THE NIGHT), CAUSA SECRETA (SECRET CAUSE) and UMA HISTÓRIA DE FUTEBOL (A HISTORY OF FOOTBALL), the latter nominated for the Best Short Film Oscar. In theater, UBÚ, TELEDEUM, DOENTE IMAGINÁRIO (THE IMAGINARY INVALID), and SONHOS DE UMA NOITE DE VERÃO (A MIDSUMMER NIGHT’S DREAM) stand out; all of them shows of Teatro do Ornitorrinco with international careers. On TV, his most remarkable jobs were UM SÓ CORAÇÃO (ONE SOLE HEART), J.K. (in both playing the role of Oswald de Andrade), MAD MARIA, MALHAÇÃO (YOUNG HEARTS) and CIRANDA DE PEDRA (THE MARBLE DANCE). He has been an artist exclusive to Rede Globo since 2004.